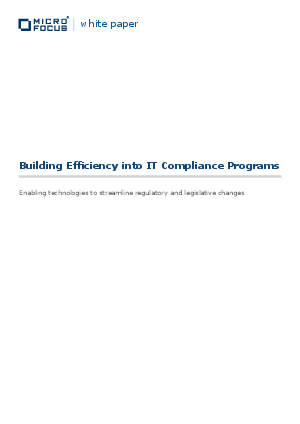 IT is struggling beneath a burden of ‘keeping the lights on’, increasingly finding itself diverting resources from revenue-generating work to support compliance efforts. Changing attitudes in business and IT are taking companies toward a more holistic view of compliance, managing enterprise risk strategically rather than through the tactical box-ticking exercises of the recent past. IT has the chance not only to reduce the level of risk to which it exposes the business, but also to improve its ability to respond to the growing levels of regulatory work.